'Twas the night before Christmas when all through the house, not a creature was stirring, not even your spouse. Netflix Canada was switched on with care, with hopes for some top-notch holiday fare..."
OK, enough of that! Why bother engaging in this poetic exercise when you can go -- right now -- and catch a bunch of amazing holiday-themed movies and TV show episodes on Netflix Canada? Find a list, below, with some of the Christmas-themed content available on Netflix Canada. Buddy the Elf (Will Ferrell) doesn't fit in with the other North Pole elves, so he travels to New York to find his real father and spread some Christmas cheer. 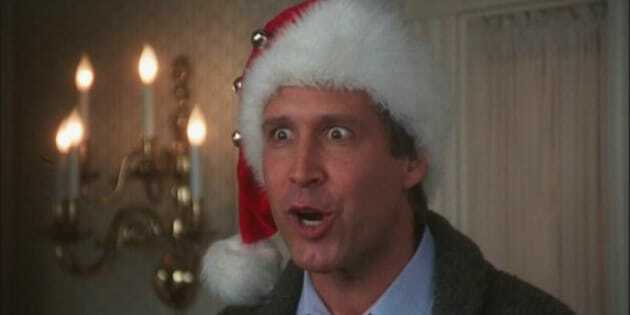 Hapless Clark Griswold, his exasperated wife, Ellen, and their kids gear up for Christmas in this Vacation installment that became a holiday classic. When Luther Krank and his wife opt to skip Christmas -- no tree and no rooftop Frosty -- can they handle the fallout from their family and neighbours? The Grinch (Jim Carrey) decides to rob Whoville of Christmas -- but a dash of kindness from little Cindy Lou Who and her family may be enough to melt his heart. Years after high school, a once-portly nice guy (Ryan Reynolds) comes home for the holidays and reunites with a former crush he still has feelings for. The Griffins attempt to have a merry Christmas despite Lois and her carefully laid holiday plans falling apart. Eager for her colleagues to meet Josh, Mindy throws an office Christmas party at her apartment. But her plans go awry when she discovers a secret. To get Ashley into the Christmas spirit, Will decorates the exterior of the Banks residence garishly, which only succeeds in upsetting the neighbours. The study group is slowly convinced to fill in for the Glee Club at Greendale's Christmas pageant. Red’s scheme to reclaim her kitchen backfires; the inmates stage a Christmas pageant; Piper’s plans unravel as she realizes her life is in jeopardy. The agency's Christmas party is nearly spoiled by the late arrival of a surprise and not-so-welcome visitor. "DreamWorks' Happy Holidays From Madagascar"
Madagascar goes wild with holiday spirit in this set of Valentine's Day and Christmas-themed tales featuring everyone's favourite animal characters. "My Little Pony: A Very Minty Christmas"
"Thomas & Friends: Merry Winter Wish"
Thomas gets into the spirit of the season by building snowmen, decorating and carrying a very special delivery: a holiday light that grants wishes. At Santa Claus's super-secret toy-making facility, Mr. Claus entrusts his son, Arthur, to carry out an ultra-important Christmas mission. Ross meets an amazing girl from Poughkeepsie on the train. Rachel struggles with being alone around the festive season. Monica enlists Joey at the restaurant. Season 6: "The One with the Routine"
Ross wants to introduce Ben to Chanukah. Pheobe wants Rachel to move back into their refurbished apartment, but Pheobe must first drive a wedge between Rachel and current roomie Joey. Season 8: "The One with Ross's Step Forward"
Ross and Mona took pictures of themselves at the Rockefeller Center and now Mona wants to send the picture as a Holiday card to friends. Chandler has to tell his boss that he split up with Monica in order to prevent Monica from having dinner with Chandler and his boss. Season 9: “The One with Christmas in Tulsa"
Chandler must spend Christmas in Tulsa, which Monica thinks he might have an affair with a former Miss Oklahoma runner-up while he is there.